Each day Annie McDaniel's dream of a brighter future slips further away. After her nephew's world is destroyed in a burst of gunfire, Annie receives temporary custody of five-year-old Dillon. Now the greenhouse she managed with her late father isn't bringing in enough money. If she doesn't get her financial house in order, a judge will allow a couple in Baltimore to adopt Dillon-and remove him from her life forever. When Annie takes a second job at Rowe Marketing, the instant attraction she shares with Michael Rowe is a circumstance she can't risk. But should she walk away from a love sure to last a lifetime? Fresh, heartwarming and inspiring, The Dream You Make reveals that hope always carries the promise of new beginnings. Praise for Second Chance Grill: "A wonderful and highly recommended prequel to Treasure Me." --Susan Bethany, The Midwest Book Review Praise for The Tree of Everlasting Knowledge: "A novel of remarkable, rare substance." --Literary Inklings. 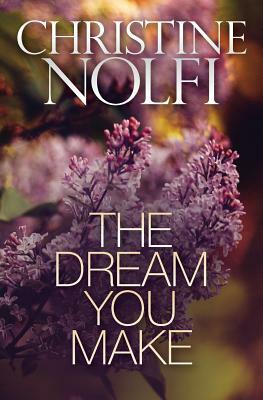 Christine Nolfi provides readers with heartwarming and inspiring fiction. Her debut Treasure Me is a 2012 Next Generation Indie Awards finalist and cited by USA Today as one of the best independently published works of 2011. Midwest Book Review lists Treasure Me, Second Chance Grill and The Tree of Everlasting Knowledge as "highly recommended."